India is characterized by more ethnic and religious groups than most other countries of the world. 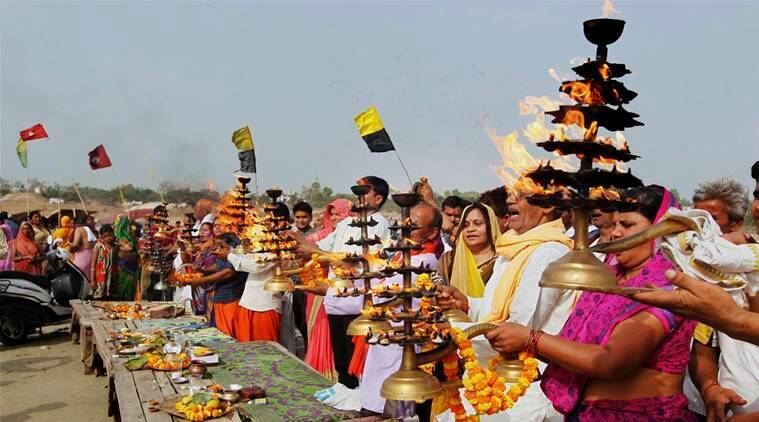 Aside from the much noted 2000-odd castes, there are eight “major” religions, 15-odd languages spoken in various dialects in 22 states and nine union territories, and a substantial number of tribes and sects. Three ethnic or religious conflicts have stood out of late: two occurred in the states of “Assam and Punjab; another, the more widely known Hindu-Muslim conflict, continues to persist. The Assam problem is primarily ethnic, the Punjab problem is based on both religious and regional conflicts, while the Hindu-Muslim problem is predominantly religious. Of the three conflicts mentioned, Assam has attracted the largest attention of late. Not since the 1947 partition of India have so many people been killed and uprooted as a result of ethnic or communal violence. By most available reports now, mob violence has claimed four thousand lives, rendered about 200,000 homeless, and forced a large number to leave the state for protection elsewhere. The immediate occasion of this bloodshed was the election held in February, though conflict and tension have been present for the last three years. In Assam, three culturally disparate groups have been in collision: the Assamese, the Bengalis (both of which have segments of Hindus and Muslims) and the tribals, which are localized communities. Assam has had the highest rate of population growth in India since the beginning of this century. Migration into the state accounts for a substantial part of this growth. Most migrants came from Bengal, including what is now Bangladesh (known as East Bengal before the 1947 partition and East Pakistan from 1947-71). Bengali migrants were both Hindus and Muslims. Bengali Hindus started arriving after the British created tea plantations in the middle of the nineteenth century. Because of their educational advantage over Assamese, they were better suited to man the growing administrative and professional machinery. Bengali Muslims on the other hand, were mainly peasants. They originated predominantly in East Bengal, a highly populated area with low agricultural productivity and a fragmented landholding pattern incapable of supporting large families. In contrast, Assam was less populated, many areas were unsettled, and there was less pressure on the land. Bengali peasants made large tracts of waste, flooded and forested land habitable and productive along the southern bank of the Brahmaputra River, an area that is also populated by indigenous tribal groups, especially the Lalung. Overall Bengali dominance began to manifested itself in various ways. They held urban professions, their language was more developed and widely used in Assam, and their educational and even numerical superiority became more than evident. With the halting spread of education in the twentieth century, the Assamese middle class slowly emerged, and with the growth of the Assamese middle class, the seeds of what has been called “little nationalism” were sown in Assam. After the partition of 1947 and the transfer of a very large Bengali Muslim district of Sylhet to East Pakistan, the Assamese middle class came to power for the first time in about a century. Through expanded educational programs and the use of Assamese as a language in the university, this newly acquired power, electorally buttressed, was used to consolidate the position of the Assamese middle class against Bengali dominance in administrative services and professions.